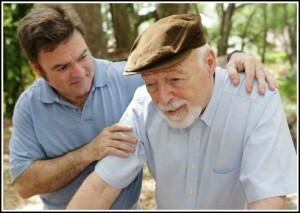 Dementia is largely known as a problem with memory of many aging seniors. However Dementia is not merely a problem of memory. It literally reduces the ability to learn, reason, retain or recall past experience and there is also loss of patterns of thoughts, feelings and activities. There are so many forms of this disease including Alzheimer’s, vascular, frontotemporal, semantic and demential with Lewy bodies. My mother-in-law has been diagnosed with it; my aunt has recently been diagnosed with it, and a great many of my friends family members are suffering from dementia in one of its various forms. My cousin, who has a nursing background, is now faced with caregiving for her mother and she asked me for my ideas regarding special care needs. Recently I read a wonderful article written by Janice Blanchard, MSPH and published in the CSA Journal of the Society of Certified Senior Advisors that I thought I’d share with you. Most people do not consciously choose to become a primary caregiver for a loved one with dementia. As devoted and loving family members or friends, we usually assume this new role without much consideration, preparation, or planning. By creating a strategic plan of care from the outset, however, we can significantly enhance our ability to provide the best care for our loved one and for ourselves. 1. Arrange for a comprehensive medical assessment and diagnosis. Many symptoms associated with dementia, such as confusion, forgetfulness, and social withdrawal, can sometimes be caused by other medical issues. As a first step, it is crucial to get a comprehensive medical assessment, preferably coordinated and interpreted by a physician who specializes in geriatrics, neurology, or geriatric psychiatry. While there is no definitive test for Alzheimer’s or other dementias, there is a high degree of accuracy in diagnosis by combining and comparing results from a physical exam, blood and laboratory tests, brain imaging, and neuropsychological testing. Be skeptical of any single test in the doctor’s office or online that claims to diagnose dementia—nothing replaces a full medical evaluation. 2. Educate yourself and your loved ones about dementia. “If only I knew then what I know now” is an irony known to many dementia caregivers. Knowing what to expect prepares you to navigate the difficult road ahead. It also provides tools for dealing with some of the cognitive and behavioral challenges associated with dementia. Numerous resources are available for free online, at the local library or bookstore, and at the local chapter of the Alzheimer’s Association or Area Agency on Aging. The latter two can also refer you to support groups, which are invaluable and ongoing sources of education, information, and resources. 3. Assess your and your loved one’s situation and resources. A comprehensive assessment of you and your loved one’s situation and resources provides the foundation from which to plan a course of action. Assessments should include your own health condition, additional medical conditions and medications of your loved one, financial resources, legal documents (e.g., durable power of attorney, health-care surrogate, and wills), social and emotional support systems, community resources, in-home assessment, and other family or personal responsibilities, needs, and desires. Your local Area Agency on Aging or Alzheimer’s Association chapter can provide you with checklists and resources to guide you to do this type of assessment on your own, or can help you locate professionals that specialize in this type of work. In this assessment process, it is helpful not only to look at your current situation and resources but also to consider how these might change over the next few years. Discussion about health conditions, finances, legal affairs, and end-of-life care are often difficult conversations at best, even among loving family members. But they are critical to understanding the needs and desires of our loved ones as they age, particularly if we become the guardian of those wishes. Timing and place are important for these types of exchanges. Think of the time of day and week that is least stressful and the place that is most comfortable, and try to make arrangements so you will not be interrupted or distracted (e.g., turn off the phone and the TV). Take one or two issues at a time—for example, their wishes regarding health-care decisions when they can no longer make them and whom they would want to make those decisions. Present your concerns clearly, go slowly, and listen deeply. If they are agreeable, tape the conversation and take notes. You can periodically read back their comments and make a copy for them (or other family members) to review as needed. 5. Involve others, ask for help, and accept support. Partner with your loved one and significant others to periodically define the support needed for both the person with dementia and yourself. Cast your net wide when considering who might be willing to help, and think creatively about how to manage the tasks that need to be done. For example, enlist a neighborhood child to walk the dog or to bring to the doorstep the paper or the mail, or pay someone to do the family laundry or yard care. Garner your time and energy by building out your support network. There are excellent internet-based programs such as Share the Care and the Tyze Personal Network that can provide a framework to organize friends, family, neighbors, health providers, and others to help support caregivers and the care recipient. 6. Define and set limits. Some of the behaviors of a person with dementia, such as wandering away from home, erratic sleep patterns, and violent or belligerent conduct, may compromise the health and safety of your loved one and/or others in the home. Write down and talk to others about what you perceive ahead of time to be the limits of your ability to be the primary caregiver, so when you reach them, there are tangible reminders and family support in knowing you are at your capacity and need to transition to another plan. 7. Develop a long-term care plan. Most people with dementia may eventually need care greater than family caregivers can provide at home. Knowing this in advance can help you have strategies in place to take the next step, whether that is bringing in around-the-clock care or placing your loved one in a long-term care facility. It is strongly advisable to keep an updated list of a variety of options—long-term respite facilities, assisted living facilities, and nursing homes with dementia units—that are available in your area and to know their admittance criteria and costs. Caregiver stress and burnout are among the greatest challenges you face. Be proactive in caring for your own needs, and make yourself a priority. You deserve to be cared for and nurtured, and to have time and resources to occasionally indulge in those things that bring you pleasure and fulfillment, whether it’s a weekend to go see friends or a day in the park. Janice Blanchard, MSPH, is a gerontologist, aging advocate, and nationally recognized writer, speaker, and consultant on aging issues. For more than 15 years she has worked on the cutting edge of public policy and programs, promoting a new vision of elders as valuable, contributing members of their communities and of elderhood as a distinct phase of the human life cycle. Blanchard serves as a consultant and an advisory board member for the National Center for Creative Aging and the American Society on Aging. She consults with government, nonprofit, and private organizations to develop innovative housing and community-based solutions that strengthen the fabric of communities. She can be reached at janicecsa@comcast.net.